How can I organize and showcase my digital photographs? Don’t let them become forgotten! It appears that ever since the introduction of digital photography we create a never before seen amount of pictures yet less of them become effective picture memories. During a single vacation we make as many pictures as our grandparents during their entire lifetime. What do you do with your digital photographs? Do you download your pictures to the computer when the memory card of your digital camera is full? Do you burn CDs and write to external drives after a few years when your computer hard drive gets too full with old pictures? These CDs and drives are neatly labeled than placed in a box or on the top shelf of a closet for storage. You plan to take them out and review them one day, when you have more time; when the children get older, when they no longer go to kindergarten or school, when they become young adults and leave home or when you finally can retire. Somehow that day never arrives. After some time you may decide to clean your closet, discover and throw those CDs away because humidity, dust or digital aging destroyed them. Few people know that even better quality CDs have a life span of only 10-15 years. You receive an e-mail soliciting that here or there you can print 100 photographs as part of a special offer for reduced price. You decide to select some pictures, start to upload them, your computer disconnects but with great discipline you re-load and finally you end up with a big pile of printed pictures. Now you only need a few photo albums and a few hours to place the pictures. These albums are stored on the bookshelf next to other, older ones. They fall apart because they are heavy and the plastic pockets tear as time passes and pictures fall out. What else can I do with my pictures? 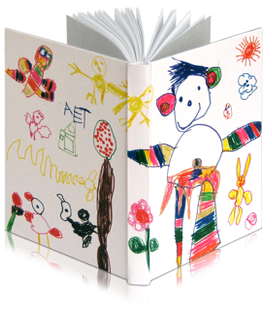 You can edit them in a book, a beautiful, custom-made, traditionally assembled, hand-bound and spine-stitched book. This way you can preserve valuable memories for the family. These books make a great gift for grandparents; preserve baby diaries illustrated with photographs, make lasting souvenirs about your travel memories. You may be even able to publish your own limited edition travel book. You can summarize your genealogy research into a family history book, and publish the old family stories hiding in the bottom of a dusty drawer for reference for generations to come. What are the advantages of a photo-book to a photo album? If you organize your photos in an album and all pictures are the same size you need to turn the book according to the alternation between portrait and landscape pictures. You may also find that somehow there is never quite as much space as you would need in these standard commercial books. In case of a photo-book we are not limited to a single picture size. We can edit them as needed; more important pictures can be stretched large enough to span across two pages and less relevant ones can be scaled down to a smaller size. We can crop or edit out unwanted parts from the picture; for example we can remove camera wires or the photographer’s fingers from the picture, blur or cut an ugly building in the background or make a disliked old class-mate completely disappear from the photograph. The book can hold exactly as many pictures as you want to show in it. Some photo albums sold in photo stores have beautiful cover designs and binding. 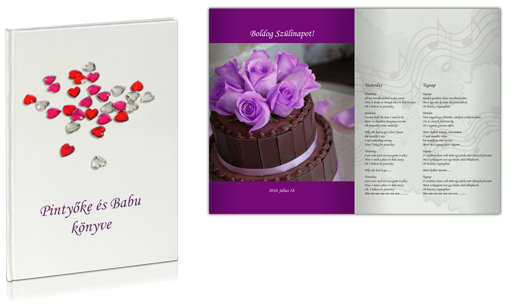 However, our custom-made books offer unlimited freedom to personalize your book’s covers according to the content and purpose of your book. 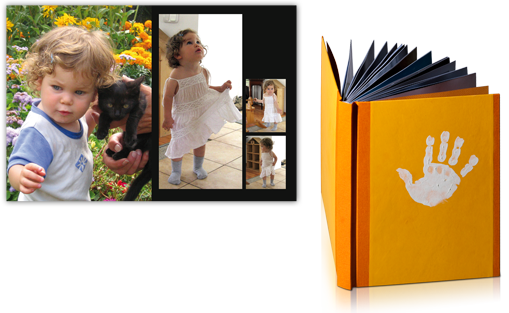 On the cover of the book we can put photographs, titles and texts, dried flowers, foot-prints of your children, children’ drawings – just about anything you wish. From a few hundred prints you may order from a commercial printing service you can send only a few copies to granny, to aunty and others, but only a few. This takes another few hours of your time for selecting, organizing and mailing. They all thank you for the pictures received but they wonder why they did not get the same ones Aunty Bori got? 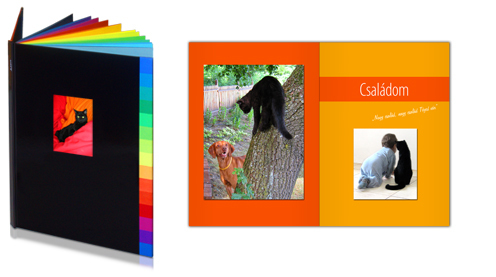 Once we create a photo book concept, edit it and format it we can print as many copies as you need. In addition, all copies can be personalized individually for the recipients. Did you ever try to stick little paper notes above photos into the plastic pockets that hold them? Or did you prefer to test permanent markers that would work on the plastic? Did you write quick notes on the inside cover of the album in an attempt to preserve important information? In case of a photo-book you can insert as much text as you like. You can place it above, below or across the pictures in a way that creates visual harmony. Did you ever have an album that fell apart? Our books are constructed so sturdy that they will not fall apart even if they fall from shelves to ground, in the event you accidentally lay on them or if they are thrown around by children. Commercially sold albums are limiting in all aspects. Availability and print shop standards all force you to compromise. In case of a book, You make all the choices, all decisions are up to You. 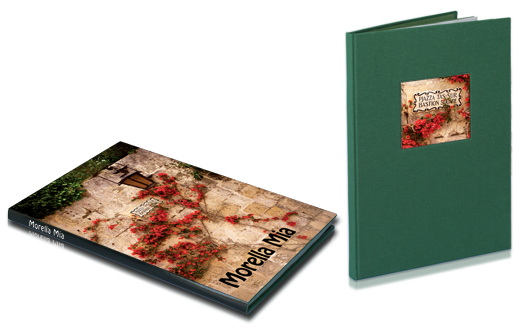 All details of our photo-books are custom designed and made for you. 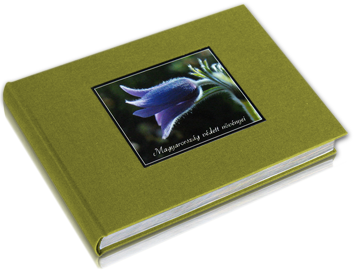 Photo-books can be ordered from photo print service companies. They provide free softwares that you use to design and edit the pages of your book. Do you find that some of the pictures end up too dark? Would you like to correct red-eyes on the photos? Do the available background templates bore you? Would you like to include that dried, lucky cloverleaf you found that day the picture was taken? Do you want to include Granny’s old paper pictures? The design element you like best requires price upgrades? At unicbook.com we do not use pre-designed templates. All elements of your book are exclusively designed for you. The book will look exactly the way you have imagined it and to achieve it we only need to exchange some e-mail communication. You send us your pictures and texts and we send you the custom-made book. Your book.